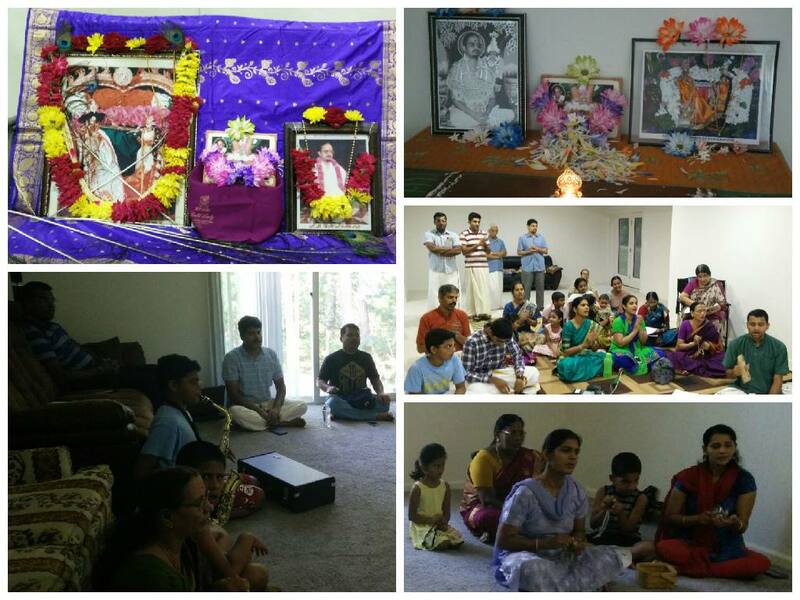 With immense Grace and blessings of Sri Swamiji, Virginia GOD Satsang families celebrated Guru Poornima in a very grand manner on the 1st of August 2015 with Akanda Nama and Oonjal Utsav. 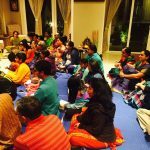 The celebration started with Akanda Nama at the residence of Sri.Ramanan and Smt. Sridevi at 6am. 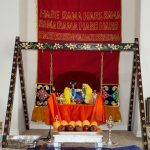 The chanting joyously continued until 4pm and concluded with the rendition of Kaliyayum Bali Kollum kirtan. 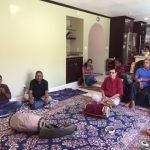 Satsang members then got ready to enjoy the Oonjal Seva for the Divine Couple and Sri Swamiji at “Happy Home”-the residence of Sri.Raman and Mrs.Lalitha Raman. 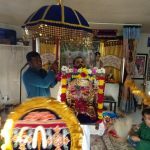 The Satsang started with Guru Vandhanam followed by the chanting of Thotakaashtakam and Guru Paadhuka Stothram by the Satsang kids and concluded with the rendition of Madhurageethams. Around 25 members attended the Guru Poornima satsangs.